With the help of 911 Restoration Saint Louis, you can rest easy knowing that we are standing by to help when disaster strikes. Many different issues can arise during a disaster situation, including water damage, flooding, mold infestation, sewage backups and fire and smoke renovation. 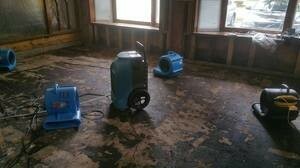 The disaster restoration team of Saint Louis knows exactly how to cleanup and repair even the most severe catastrophe. The Saint Louis disaster restoration experts are available 24/7/365 in order to constantly be there for you. We know that emergencies can happen at any time, and 911 Restoration Saint Louis promises to be at your home within 45 minutes of your call to help, regardless if it is day or night. If you have experienced damage to your property and need help repairing your home, please call the disaster restoration pros at 911 Restoration Saint Louis today. With 35 years of experience behind them, the professionals have seen it all and know exactly what to do to restore your home, in order to make it even more beautiful than before. Our disaster restoration St. Louis team is licensed, insured and bonded, making them completely qualified to assist you in your home cleanup. The disaster restoration Saint Louis crew is thoroughly experienced in all types of restoration, and has extensive knowledge in water damage reconstruction. Most disasters include water damage in some form. 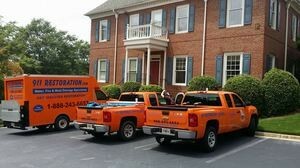 Whether it is a burst pipe, a flooded basement or an overflowing toilet, we know how to cleanup every type of issue you may encounter. Our IICRC certification further proves just how dedicated we are to both the construction and ethical side of the restoration industry. We want our customers to feel comfortable knowing that we know what we are doing to restore order to both their homes and emotions. We use the most advanced techniques, as well as the most capable equipment in the business to assist us in the disaster restoration process. Our progressive cleanup skills have proven to be nothing less of amazing when it comes to renovating homes. 911 Restoration wants to make sure that everyone is able to receive quality home reconstruction care, and we do everything we can to make that happen. Our disaster restoration agents will even walk you through the insurance paperwork, helping you get the most coverage possible. In order for you to get the disaster restoration you deserve, we make sure to offer the most affordable prices in Saint Louis. We also promise to work with any insurance company that our customers have, ensuring that you can always call on us and not worry about cost in your time of need. 911 Restoration Saint Louis recently was contacted by a homeowner whose home had been hit by a tornado. The force had demolished the side of her house, causing severe flooding in the living room. Our disaster restoration team was able to get to her home within the hour of her call and began working on the repairs. Although we never want to see anyone faced with a disaster restoration challenge, 911 Restoration Saint Louis is privileged to be able to help their community and give you a fresh start. 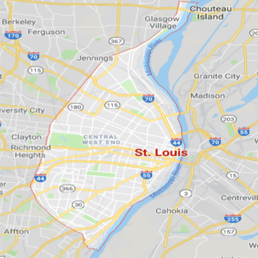 If your property is already amid a catastrophe of any kind, then contact our disaster restoration Saint Louis team with 911 Restoration Saint Louis today!